The Black Sea Trade and Development Bank (BSTDB) is interested in issuing bonds in the national currency of Azerbaijan, the manat, President of BSTDB Dmitry Pankin said in an exclusive interview with Trend. The Black Sea Trade and Development Bank (BSTDB) may allocate about 80 million euros for projects in Azerbaijan in 2019, Bank's President Dmitry Pankin told Trend. BSTDB and Azerbaijan are eyeing further cooperation, as new President of the Black Sea Trade and Development Bank (BSTDB) Dmitry Pankin is expected to visit Baku on December 13-14. 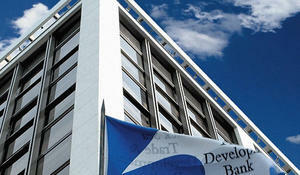 Black Sea Trade and Development Bank (BSTDB) is considering providing support for SOCAR Turkey Enerji on issue to purchase a share of seven percent in the Trans-Anatolian Gas Pipeline (TANAP), the bank's website reported Jan. 14. The Black Sea Trade and Development Bank (BSTDB) will allocate a $58 million loan for Azerbaijan's state energy company SOCAR -- the largest loan in its history, BSTDB Chairman Andrei Kondakov was quoted by Trend news agency as saying. 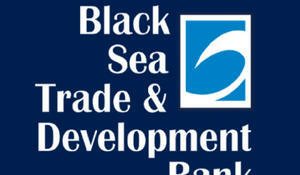 The Black Sea Trade and Development Bank (BSTDB) has signed agreements with three Azerbaijani financial institutions - Unibank, FINCA Azerbaijan and TBC Credit. 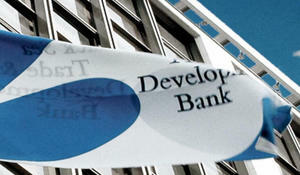 The Black Sea Trade and Development Bank (BSTDB) will consider the allocation of its largest loan for Azerbaijan's state energy company SOCAR on June 22, BSTDB chairman Andrey Kondakov was quoted by Trend news agency as saying. The Black Sea Trade and Development Bank (BSTDB) introduced an online application form to help regional companies apply quickly and "paper free" for BSTDB financing, BSTDB said on Monday.